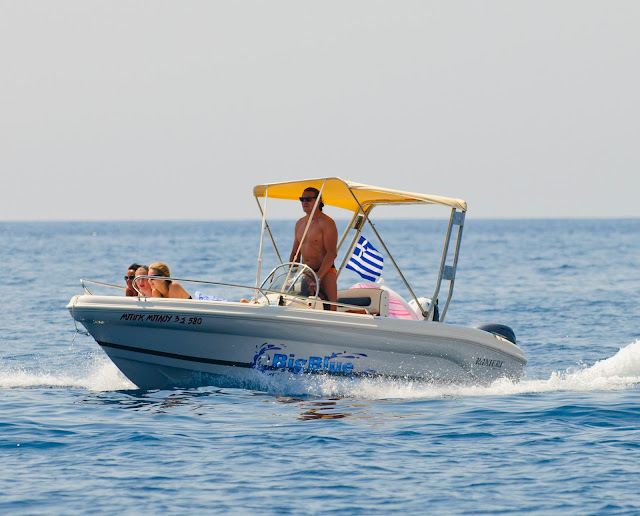 Zakynthos | Boat Trips | Boat Rentals | Authentic Local Experiences: RENT A PRIVATE BOAT PER DAY! NO LICENSE REQUIRED! RENT A PRIVATE BOAT PER DAY! NO LICENSE REQUIRED! We have found the safest and most affordable way to offer you the experience of a trip on a private boat. 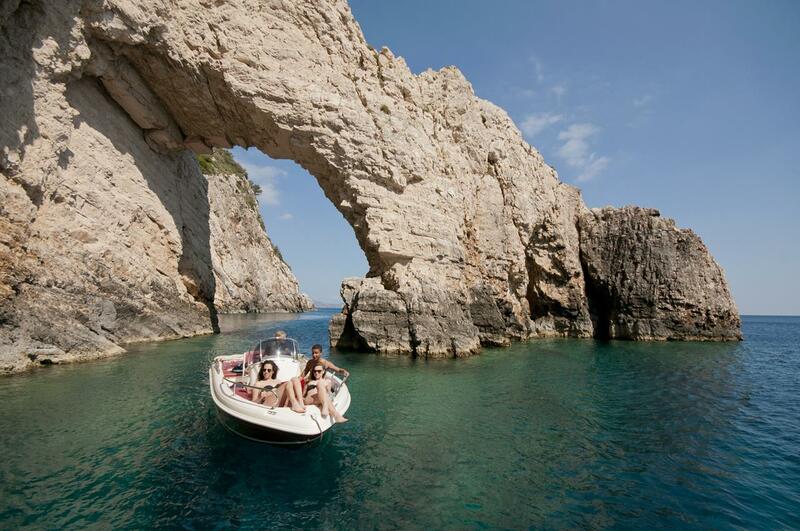 Renting a private boat you and your party (1-6 persons) can visit the most beautiful Zakynthian spots. A license is not required while your safety is guaranteed as all the boats are fully insuranced and so are you from the moment you get on board. In case you wish to have a skipper there is an extra charge of € 30. The fuel is included in the price. The boat sets off from a coastal village called Keri. There, our experts will give you a short training and a trial-go to ensure your safety. Also they will advise you where to stop and inform you about the weather conditions. Laganas Gulf: sandy beaches, the turtles swim very close to the boat! Marathonisi: a small deserted island. There is always someone in Marathonisi to give you further information and help you get off the boat. Cameo: a tiny island with a cafe on top ideal for a drink and panoramic pictures. Marathias: a unique beach with cool water! Kamares:sail through the imperious Kamares (arches) like the sailors of the old times! Oasis beach: deep, cool sea water ideal for diving and relaxation! Mizithres: two huge rocks in the middle of the sea looking like they have fallen off the sky! All the boats have a GPS gadget while on safety reasons there is also an auxiliary inflatable boat (especially for those who choose not to have a skipper). Timetable: the boat is available at 09:00. It sets off from Keri port. For the resort of Vasilikos the pick-up point is at the church Agios Efstathios in Argasi. To book a trip, please contact us daily, from 09:00 a.m. until 12:00 night. Hire private yacht charters from Cayman Yacht Charters. Choose luxurious and most demanded boat rentals in Caymans with excellent services at affordable cost.